Every month we feature one of Lincolnshire’s many beautiful restaurants, usually to try the likes of their seared scallops, perfectly cooked lamb chops or oozing chocolate fondant typically in a country pub setting with tweed tones, crackling fires and exposed oak beams. It’s a restaurant genre that Lincolnshire loves so the proverbial mould is rarely broken. That’s why we were so eager this month to present the Quayside Hotel & Bar in the market town of Boston. It offers a unique, exciting dining experience that matches – and in many cases, surpasses – the country pubs in Lincolnshire, but in a completely new and different way. Couple Lana & Alistair Arundell bought the venue last year and renovated it from its derelict state into the modern chic bar and restaurant it is today in just three months with the help of a 26-strong team. Quayside officially opened in December last year. When the Quayside opened in December, it only offered a hotel, bar and breakfast service but Lana says it was always their intention to develop the kitchen into a restaurant too. Kanchana has worked in Thai restaurants all her life and lived in Thailand for a lot of her life too. After Kanchana cooked for them, Lana & Alistair knew in an instant that they wanted to serve Thai cuisine. 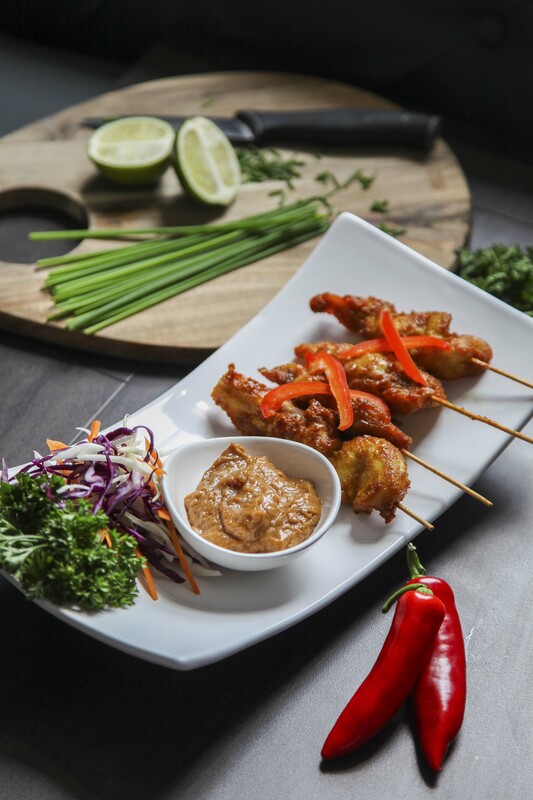 Kanchana is keen on creating an authentic Thai experience and only uses ingredients that are imported from her home country. The restaurant opened in March this year. On my visit, I enjoyed satay chicken and spring rolls to start followed by Kanchana’s signature Pad Thai and Thai green curry. For dessert I tried the peculiar but really delicious banana fritters. Aside from the Thai cuisine, the Quayside’s other uniqueness is its bar. Not only is it complete with marble top, strip lighting, firelit corners and upholstered comfy seating areas, it offers an exceptional selection of drinks. 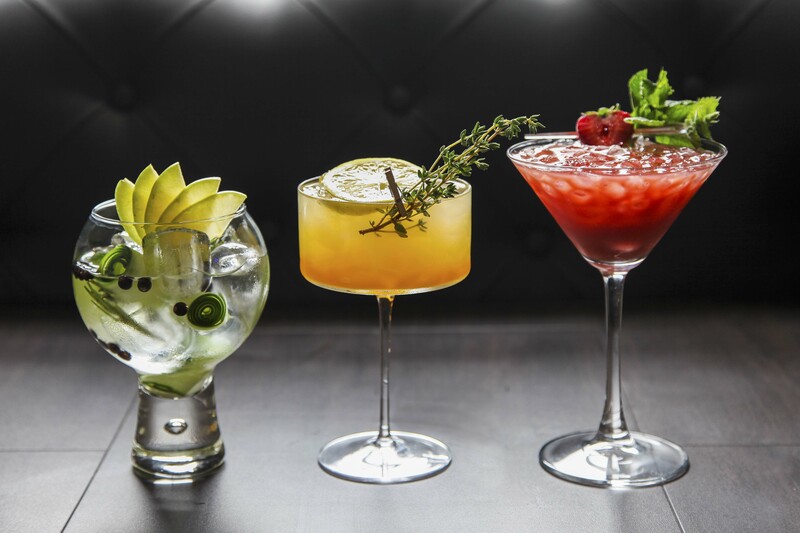 There are around 90 different gins alone for you to try, and the cocktail menu is extensive. Lana looks after the bar and has been on a number of cocktail making courses to perfect this area of the business, while Alistair works on the hotel rooms due to his extensive experience in property development. The hard work they’ve put into it is paying off, and that’s already been recognised by the Channel 4 show ‘Four in a Bed,’ a TV competition for B&B owners. They asked for Quayside to be a part of a show that airs in October and Lana & Alistair came first, offering the best hotel and dining experience out of all of the contestants. It’s certainly an exciting time for the couple and for Lincolnshire too, gaining such a beautiful, modern and delicious dining room. But there’s no stopping there. Hot & sour soup or coconut soup with the choice of chicken, prawn or vegetable, £6.50. A selection of spring rolls with a sweet chilli dip and side salad, £6. Thai green curry with chicken, beef or prawn and served with rice, £13. £1 extra for beef, and £2 extra for prawn. Chicken in an oyster sauce and served with boiled rice, £13. Beef in oyster sauce for £14. 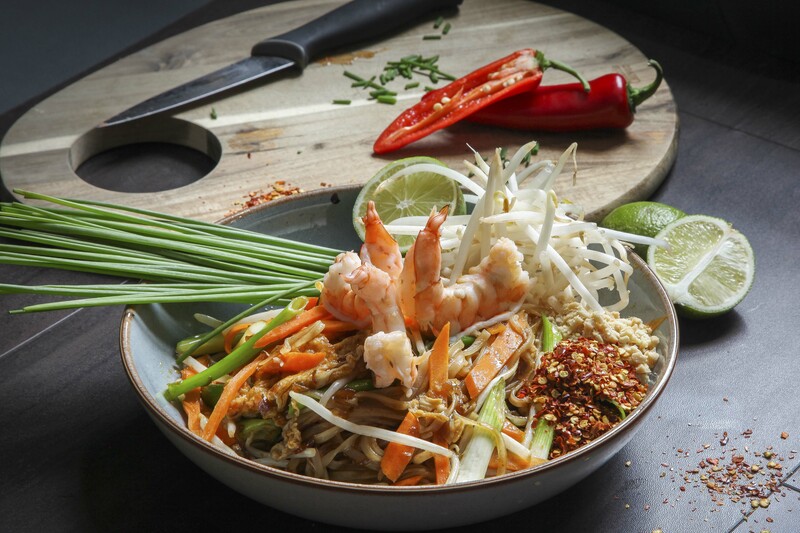 Pad Krapow served with basil, chilli flakes and crushed peanuts with chicken, £13, beef, £14 or prawns, £15. Stir-fried noodles with chicken, £13, beef, £14, or prawns £15. Fried banana fritters with ice cream and chocolate sauce, £4. Mixed ice cream with berries and flakes, £3. Bar: Monday to Saturday, 9am – 11pm. Sunday, 8am – 6pm. 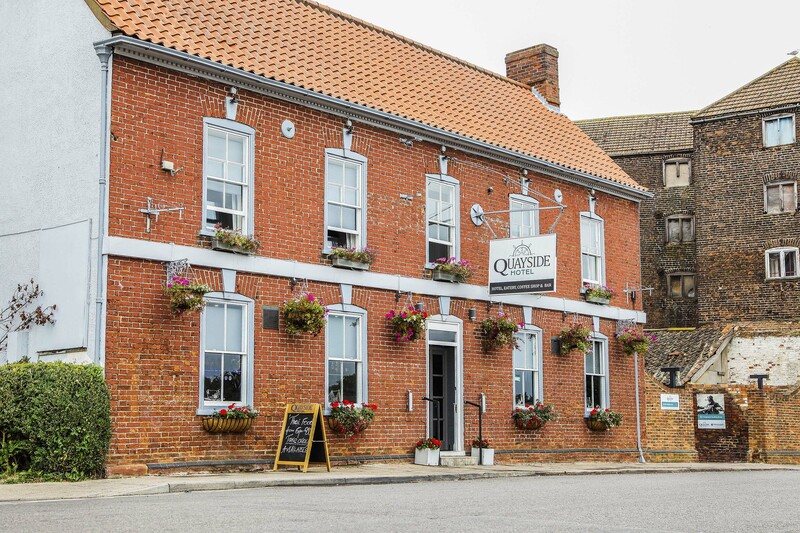 For more information about the Quayside Hotel & Bar, please call 01205 500501 visit them on 6 London Road, Boston PE21 8AG. Alternatively, visit the website www.quaysideboston.co.uk to book.